Discussing her own translation of Hélène Cixous’ novel Inside (1969/1986) into theatre, Berger suggests the figure of the hysteric as way of determining a feminist practice on intersemiotic translation. The approach outlined is twofold: firstly, Berger suggests methods for translating Cixous’ hysteric aesthetic from prose to the stage, concentrating in particular on Cixous’ use of vibrating signifiers and her methods for producing a synaesthetic experience of signs’ materiality. Secondly, Berger discusses how the practice of intersemiotic translation itself might be considered both hysterical and potentially feminist by contextualising it in relation to feminist theories of translation. 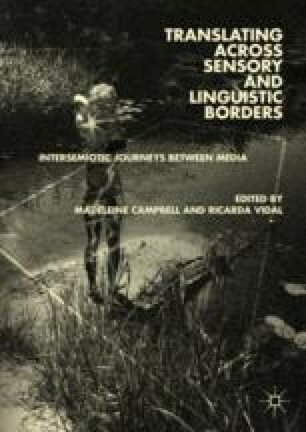 In doing so, this chapter contributes to the emerging discourse of intersemiotic translation by offering a politicised approach to it.